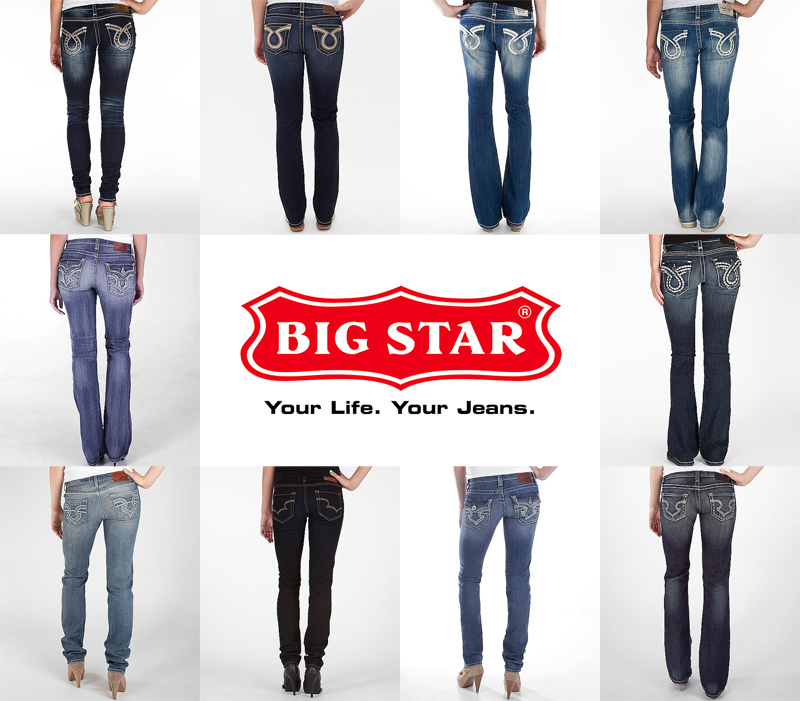 Big Star ladies IRR Denim Jeans Assortment 24pcs. Big Star is back and ready to reclaim their role as a leader in premium jeans. With roots in the European denim scene since 1974, Big Star Jeans fills a void in the marketplace through its unique vision and ability to deliver on its promise of affordability, without sacrificing fit and quality. From the inception of the design to shipping a finished product, all aspects of the denim process are done under one roof in the U.S.A. Big Star Jeans provides quality of consistency that is untouchable by other jean brands. Many of the brand’s design aesthetics remain true to the original Big Star brand. Big Star Jeans are inspired by western and vintage themes, with updated treatments and details that appeal to the modern consumer base. 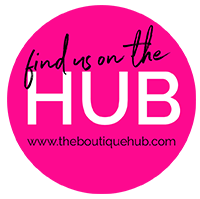 Successfully defying categorization by creating specialized fits, intricate washes and trend conscious designs that appeal to all taste levels and lifestyles, Big Star Jeans has revitalized the jean industry. Today, the market has come to know Big Star Jeans as the true “Legendary Blue Jean,” offering customers premium jeans without costing you an arm and a leg. Washes, pockets, and cuts are all excellent! Styles to include but not limited to: Remy, Hazel, Sarah, Remy Boot. Found at The Buckle, Nordstrom's, and other national retail chains. 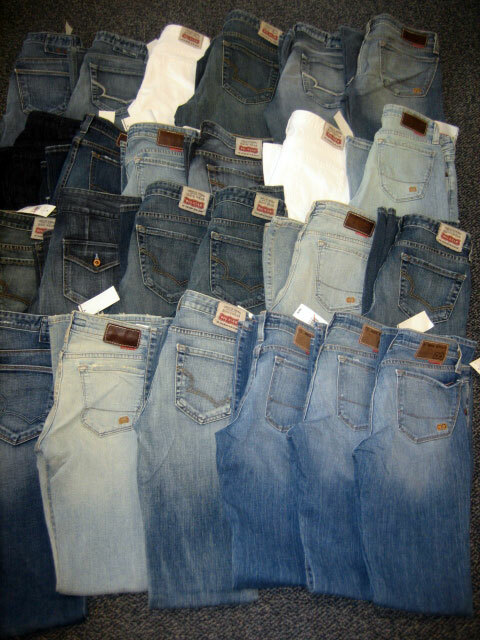 Big Star Ladies Denim Jeans mixed assortment.